Pictured here in our pewter finish. Also available in polished brass. This charming little trivet stole our hearts, and we are sure you will love it as well. 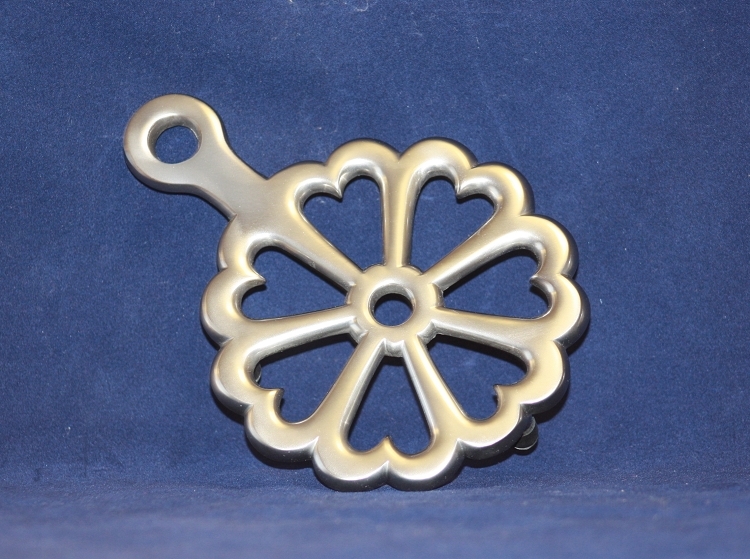 The petite trivet measures 5 inches in diameter, plus the two inch long handle. Sits above your table on three legs with rubber feet to protect your fine tabletops. The trivet is cast of solid brass with a heavy plated pewter finish, which is lacquered to prevent tarnishing. Weighs 13 ounces. Also available in our brass finish.